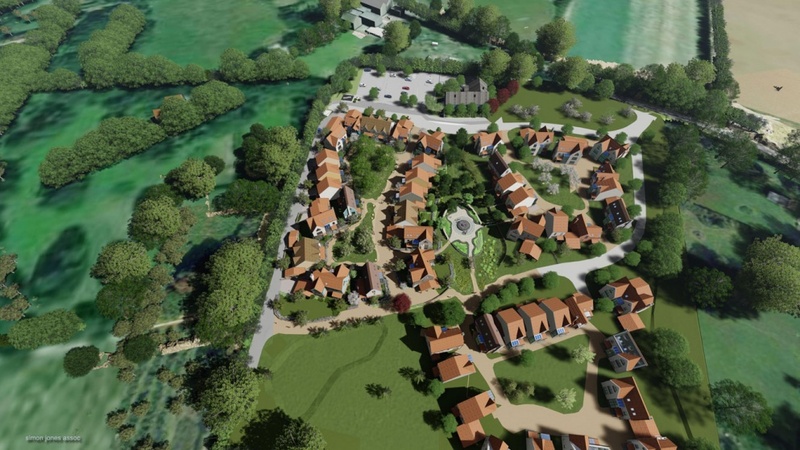 Village Makers, the developers behind the award-wining ‘Wintles’ development in Shropshire, have taken the concept of Custom Build, one of the Government’s current solutions to the housing shortage, and created an innovative plan for a sustainable development in rural Essex. The scheme, Oakley Orchards, is a joint venture between Pete Thompson, a local landowner and farmer, and Village Makers. 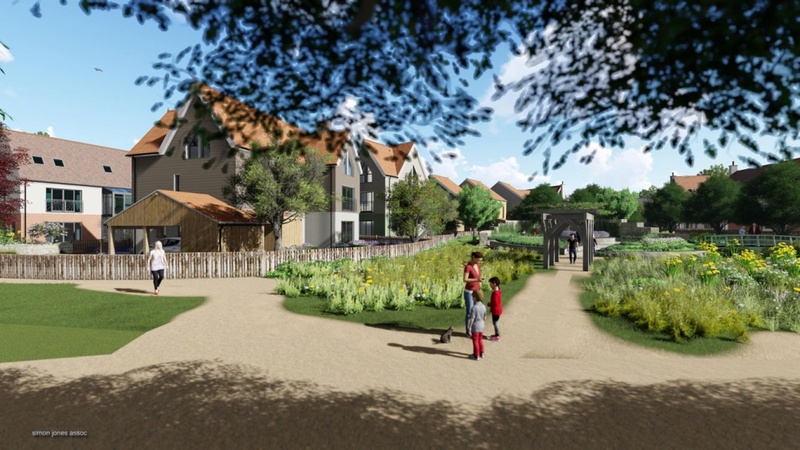 Outline planning permission has been granted for 51 houses on a nine acre site amidst fruit orchards in the village of Great Oakley. Purchasers will be able to choose their plot and their house type, choose from a range of additional features such as sunspace, balcony or bay window, choose the internal layout, and choose the interior specification. Internal floor areas range from 85 sq.m to 248 sq.m, and plot prices are expected to range from £50,000 to £310,000, with build prices ranging from £1,400 to £1,600 / sq. m, to include all kitchens, bathrooms, flooring etc to a good standard. The innovative nature of Oakley Orchards doesn’t end with its custom build nature and sustainable construction methods. It has been designed to positively encourage neighbourliness and community. 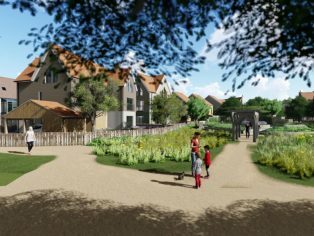 The arrangement of the plots around greens planted with fruit trees and allotments flies in the face of the regimented arrangement of many developments. Each house is oriented differently on pedestrian pathways, and visitors will struggle to find a straight line, apart from the walls of the houses themselves. Oakley Orchards is very much part of the village of Great Oakley with its active and friendly community, school, church, playing field, shop and community run pub, The Maybush.